Because mercury contamination is potentially threatening to bald eagle (Haliaeetus leucocephalus) populations, we collected molted feathers at nests to determine the level of contamination in bald eagles in the state of Idaho, USA. Eagle feathers contained measurable amounts of cadmium (Cd), chromium (Cr), selenium (Se), lead (Pb), as well as mercury (Hg). Cadmium, Cr, Se, and Pb levels averaged 0.17, 4.68, 2.02, and 1.29 mg/kg dry weight, respectively, and were at or below concentrations indicated as causing reproductive failure in bald eagles. 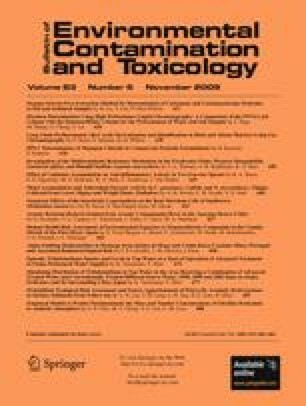 Mercury contamination was found to be the highest averaging 18.74 mg/kg dry weight. Although a concentration of only 7.5 mg/kg dry weight Hg in bird feathers can cause reduced productivity and even sterility, all of the eagles we sampled bred successfully and the population of bald eagles continues to grow annually throughout the state. This project was funded by the Idaho Department of Fish and Game and Idaho Power Company. We would like to thank the following for their assistance throughout this project: B. Alford, Jon Beals, Blackrock Development Project Manager Kyle Capps, Leslie Carpenter, Kathy and Tom Flint, Toni Holthuijzen, Carrie Hugo, Sonya Knetter, Jeff Knetter, Von Pope, Beth Waterbury, and Mike Whitfield.